Westland Shopping Centre is Eyre Peninsula's largest shopping centre, located in the heart of Whyalla. The centre has plenty to offer including everything from fresh food and gifts and homewares to sporting goods and fashion for the whole family. Shoppers are able to enjoy a coffee or a bite to eat in air-conditioning comfort in the food court conveniently located in the mall. Shopping in Whyalla is always easy at Westland Shopping Centre with a large variety of retail on offer and plenty of free convenient car parking with shaded parking outside of Woolworths and Coles. 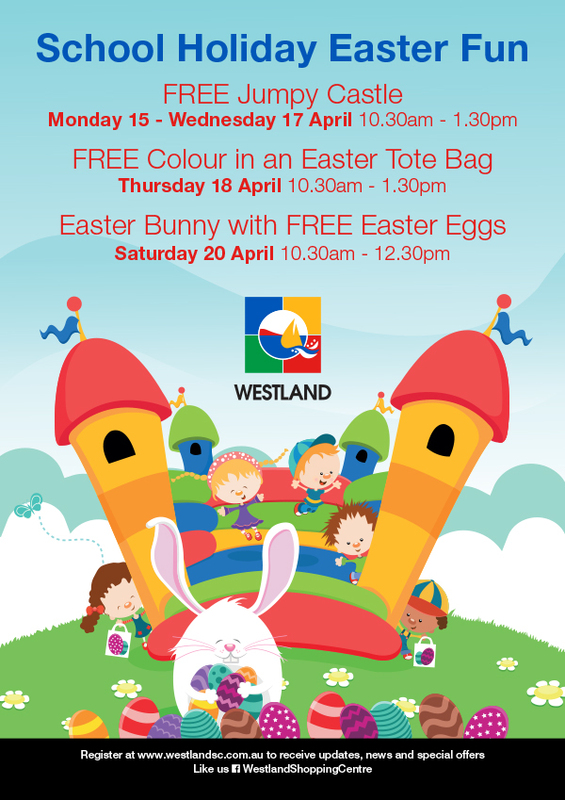 If you enjoy shopping at Westland Shopping Centre and want to be one of the first to find out what is on offer, including Centre events, retailer specials and School Holiday activities complete the sign up page and we will do the rest.